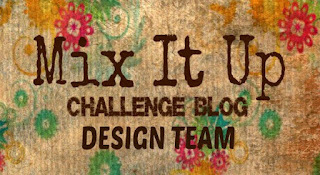 Today's card was designed for the Mix It Up Challenge Blog November Design Team with the optional technique of "Stenciling" using the sketch from Sunday Stamps as my inspiration. 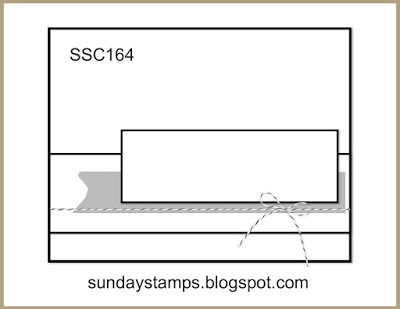 It will also be entered @ Crazy 4 Challenges for "Using Pink" and @ heARTful Stamping for "Anything Goes + a Stamp". 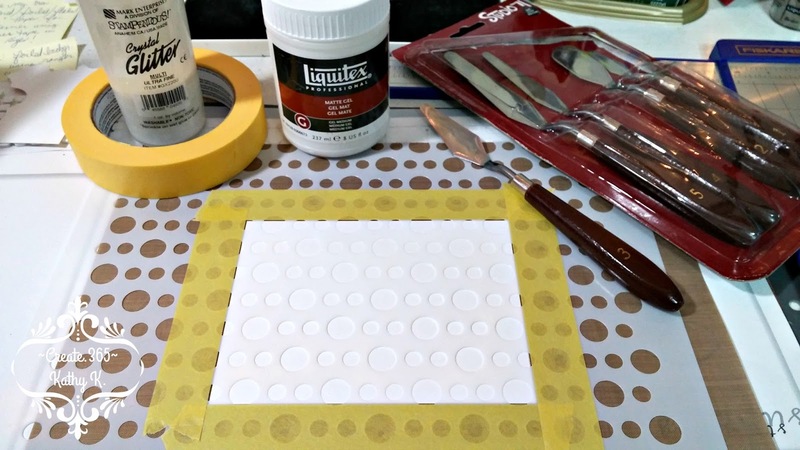 The first step in making this card was to stencil the polka dots design on the front of an A2 sized horizontal top folding card made from Bristol cardstock for it's sturdiness qualities and ability to take the wetness from the gel medium well. 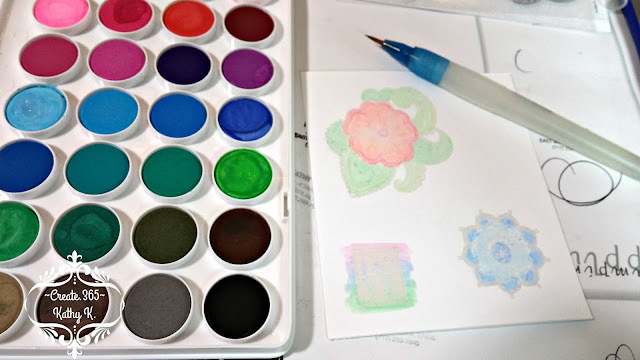 I used Frog tape to secure it to my work mat and then used a palette knife to evenly spread the matte gel medium across the stencil on the card front. I then carefully pulled the stencil off and sprinkled the crystal glitter all over the wet gel. I also rinsed the gel off the stencil right away! I then set this aside to dry while I worked on the other parts of the card. 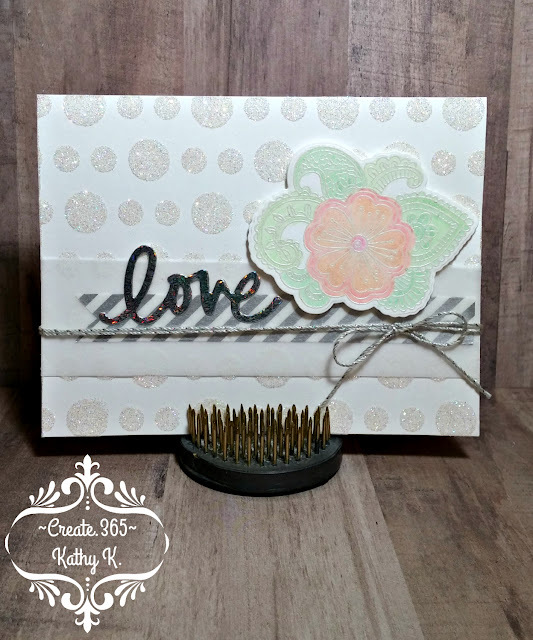 I stamped and heat embossed the blooms from Close to my Heart in Silver Pearl powder, colored them with watercolors and cut them out using the matching die set once they were completely dry. 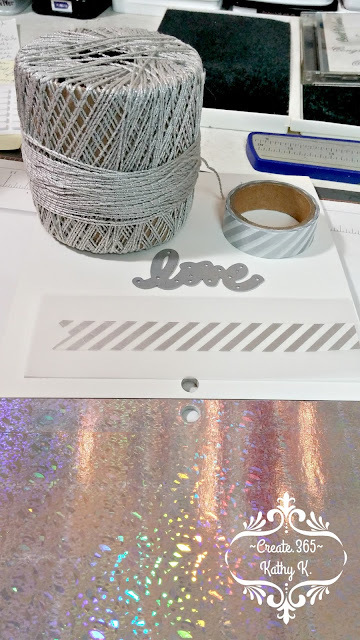 Using the sketch as my guide, I trimmed the vellum layer and added the washi tape banner. The "love" was die cut from some DCVW holographic paper I bought at a stamp and scrap store while we were on vacation in Bermuda. 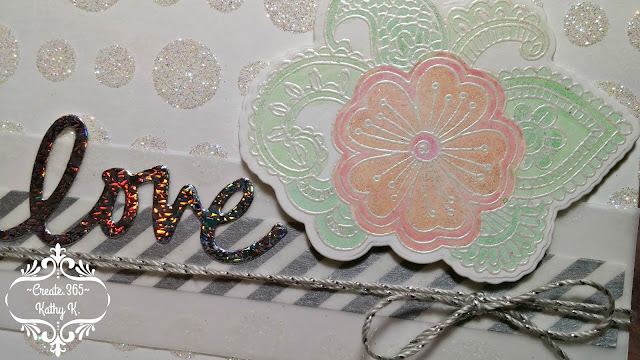 There is so much sparkle and shimmer on this card -I just LOVE it, lol! As you may be able to see here, I even added clear wink of Stella to the blossoms. Once everything was assembled, I wrapped the silver thread around the card front 2 times, tied it in a bow and secured it with a mini glue dot. The bloom was adhered with foam pop dots, but everything else is glued flat. 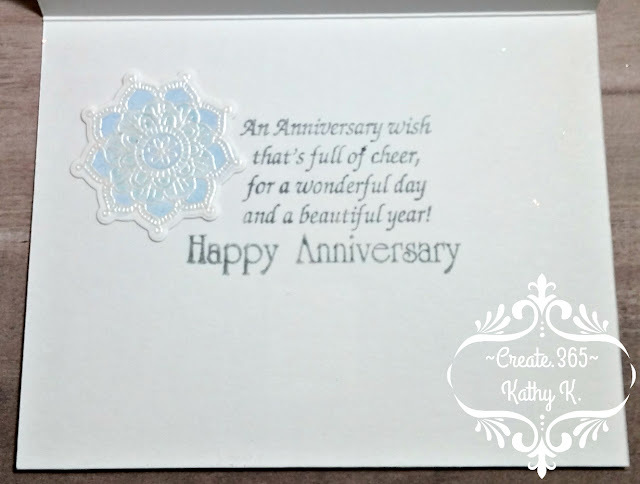 Inside, I stamped the sentiment in London Fog Memento ink and added the embossed and die cut blue bloom. This card will be going out in the mail to one of my sister-in-laws and her hubby in the next few weeks. Very nice take on the sketch. I love sparkly! Such a beautiful card. Your attention to detail is amazing! Thanks fo much for playing along with us at Sunday Stamps this week! Aww, thank you very much!!! 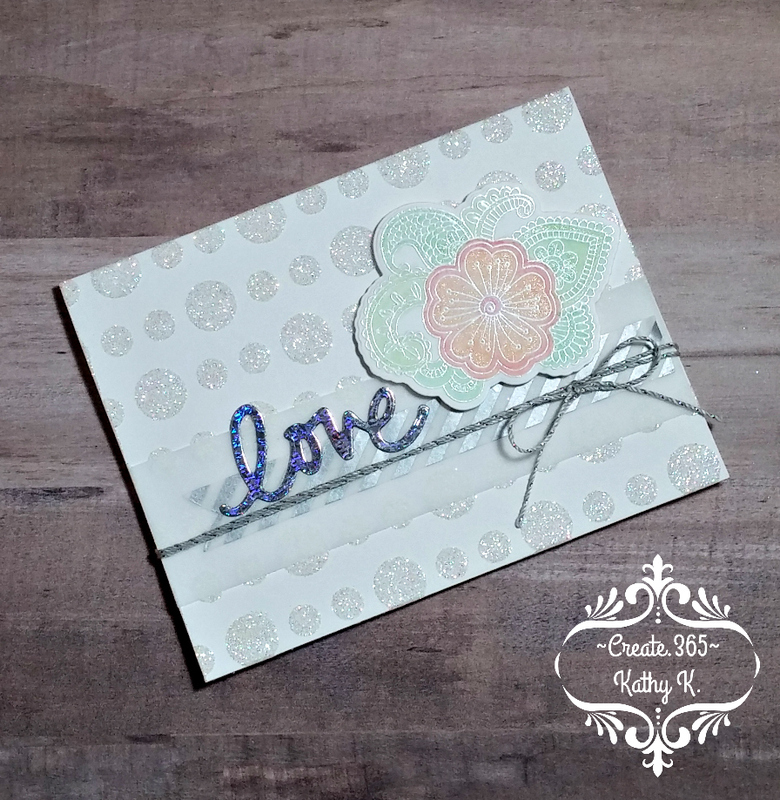 You have so much sparkle and texture in this creation - I love it! Thanks for entering the HeARTful Stamping Challenge!